Z Prep! 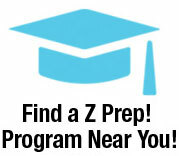 College Entrance Exam Prep - Z Prep! College is a big step toward your future, so you want to do your best on the ACT or SAT College Entrance Exams that may decide your future. Whether you’re a sophomore, junior or senior, it’s important to start your test prep early and have a study plan. Z Prep! 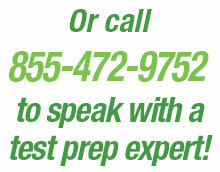 offers several different, proven College Entrance Test Prep programs to fit your style. Our tutoring programs, individualized to fit your academic needs and schedule, will make sure you are prepared when it comes time to take your college entrance exam. Effective – you’ll see the results in your score! Should you take SAT or ACT? We can help! Your College Entrance Exam Prep program includes testing and training to determine which exam will give you the best overall result. This service will give you an added advantage that will help you optimize your performance on whichever exam you take. Ivy Prep: Our best seller, this package includes diagnostic testing, individual instruction and individualized home work, a six week, 45 hour program for the most comprehensive preparation. Includes unlimited access to an online database of practice problems and other resources.